When this card is placed onto the battlefield all cards in your opponent's hand get sent to the discard pile( They then must draw five cards to replace them). 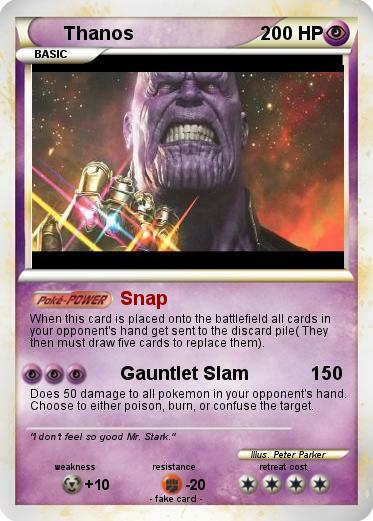 Does 50 damage to all pokemon in your opponent's hand. Choose to either poison, burn, or confuse the target. Comments : "I don't feel so good Mr. Stark."